In this paper, we explore the role patient incentives play in slowing healthcare spending growth. Evidence suggests that while patients do indeed respond to financial incentives, cost-sharing does not uniformly improve value; rather, cost-sharing provisions must be deliberately structured and targeted to reduce care of low marginal value. Other mechanisms may be helpful in targeting particular populations or types of utilization. 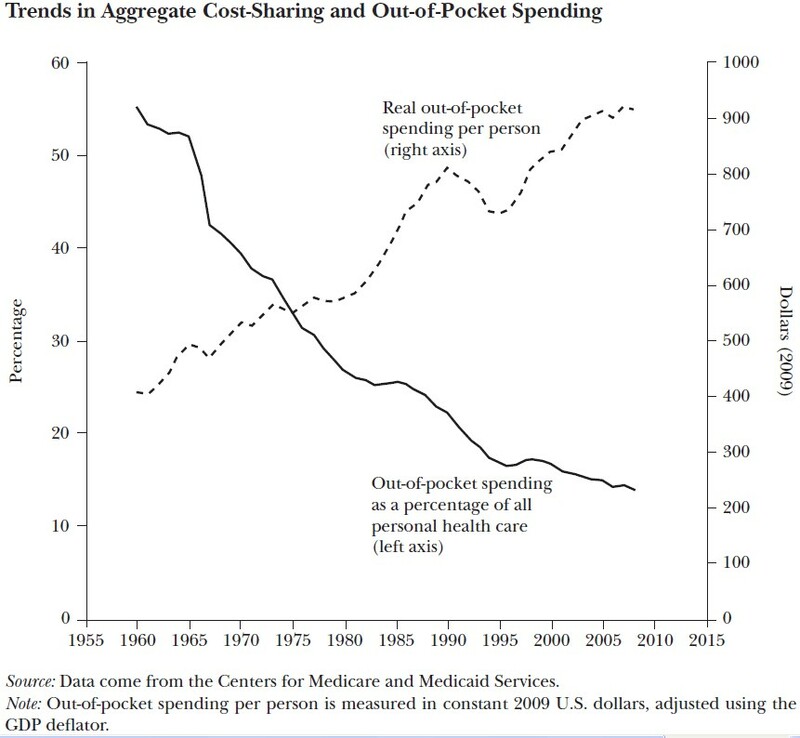 The spillover effects between privately insured and publicly insured populations as well as market imperfections suggest a potential role for public policy in promoting insurance design that slows spending growth while increasing the health that each dollar buys. 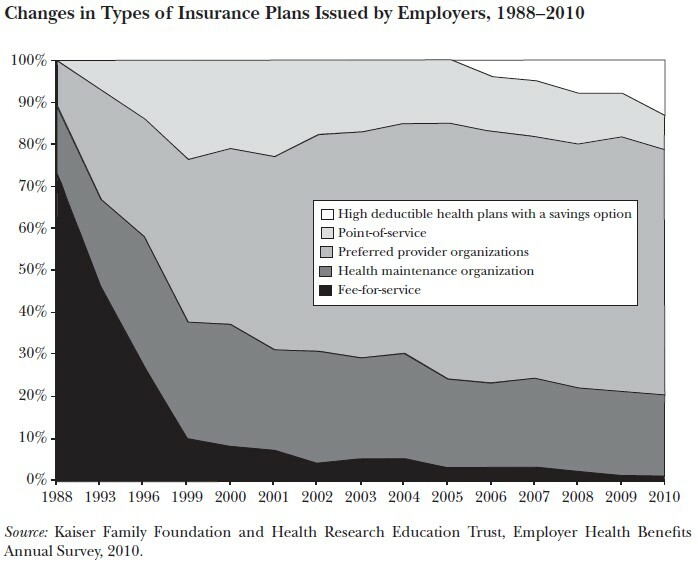 The next figure illustrates the evolution of employer-sponsored health insurance, by plan type. What the authors call “fee-for-service” plans are what most others term “indemnity” plans. Most of the recent growth has been in high-deductible health plans (HDHPs). No surprise there. Still, HDHPs are a relatively small portion of the overall commercial market. Will more HDHPs and enrollment in them change the spending trajectory? Of course, we don’t know. That’s my earlier post. However, we thought that our prior innovations would change things too. They didn’t, not in the long-run anyway. Austin Frakt has a joint appointment with the Department of Health Policy and Management at Boston University’s (BU’s) School of Public Health and Health Care Financing & Economics (HCFE) at the Boston VA Healthcare System, U.S. Department of Veterans Affairs. He writes at the Incidental Economist.